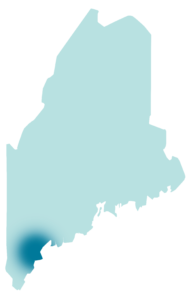 Discover our footprint, serving the needs of Southern Maine property owners. At Aquarius Property Management, we partner with property owners across Greater Portland and Southern Maine. Our team of property managers and rental experts collaborates closely with our clients to help each property owner maximize the value of their investment. We combine our proven management techniques and our unbeatable local expertise to generate impressive long-term results for our customers. Discover more about the communities we serve and our property management options by visiting the local pages below. Connect with our property management and rental experts today.